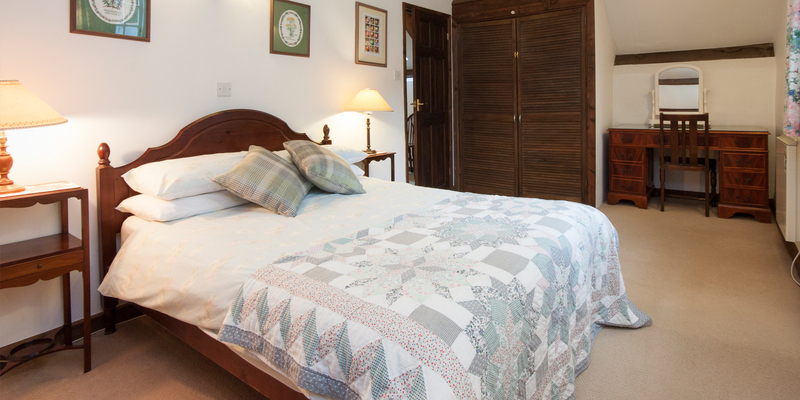 Barleycorn Cottage sleeps up to 4 people. 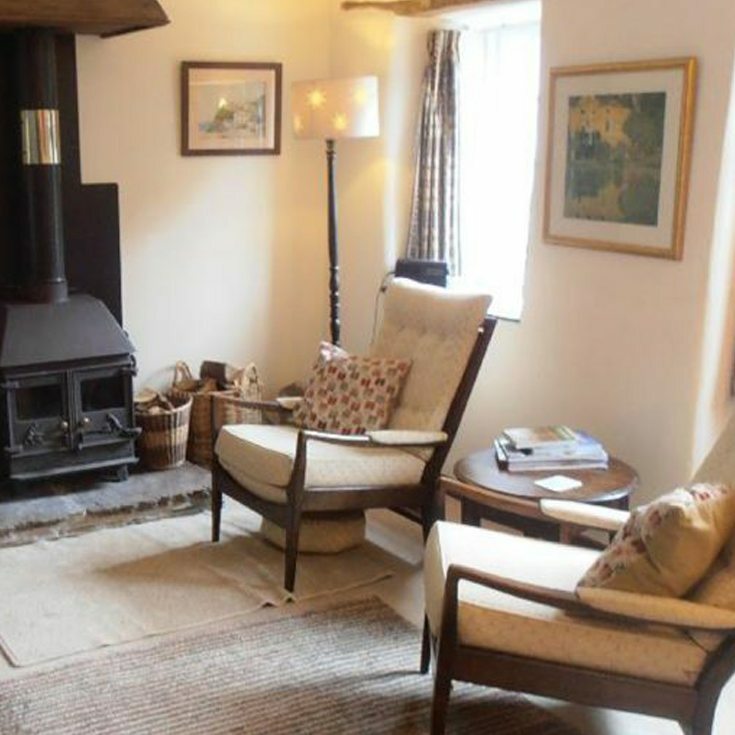 Such a cosy cottage all year round with wood-burner, thick walls, high airy ceilings, deep slate sills and massive oak beams throughout. 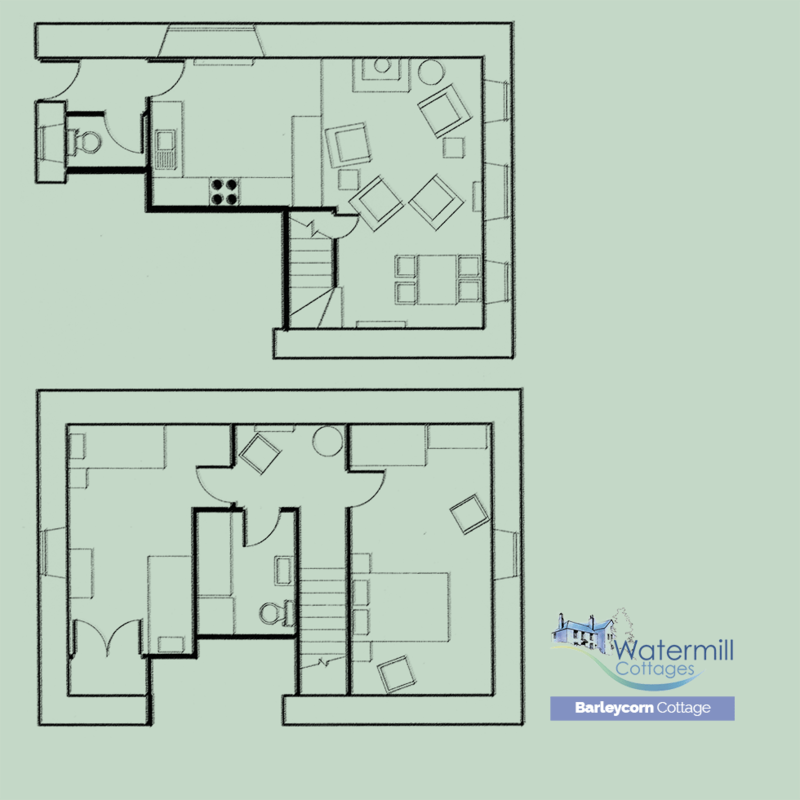 It has a large double bedroom and a spacious twin bedroom so plenty of room for a cot or zed bed if needed. 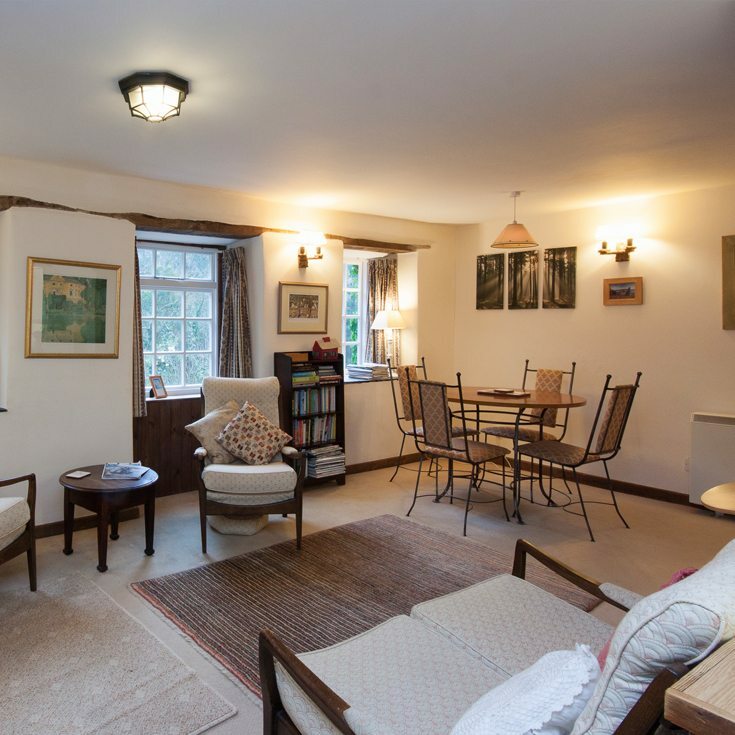 Open-plan from the kitchen to the comfy sitting room, where the cast-iron wood-burning stove and relaxing sofa and armchairs make for cosy evenings, if you’re not in the garden. 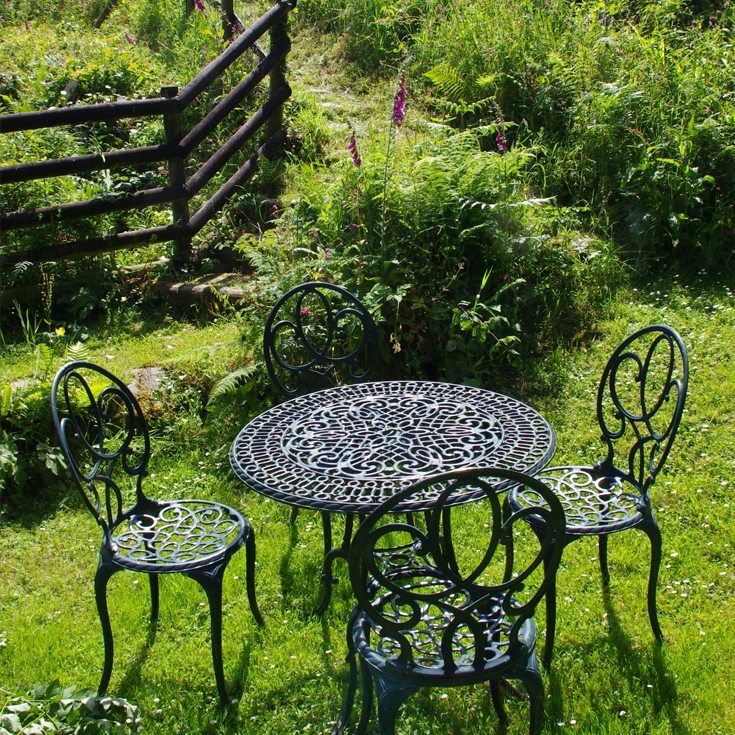 For alfresco meals, there’s a cafe table and chairs in the sunken part of the fully-fenced garden, formerly the mill pond, with views down the wooded leat and up over the fields. 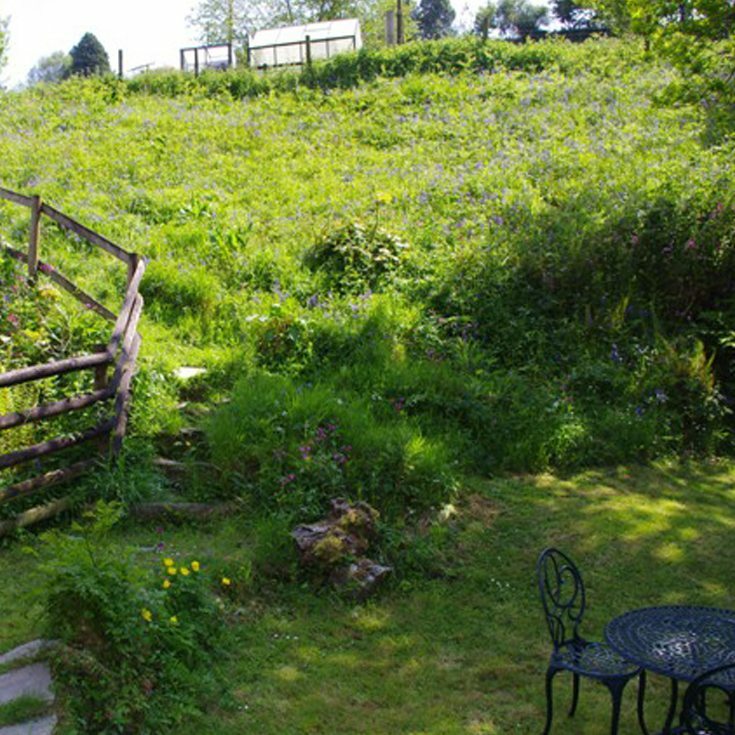 In spring, it’s full of snowdrops, bluebells and pink campions. 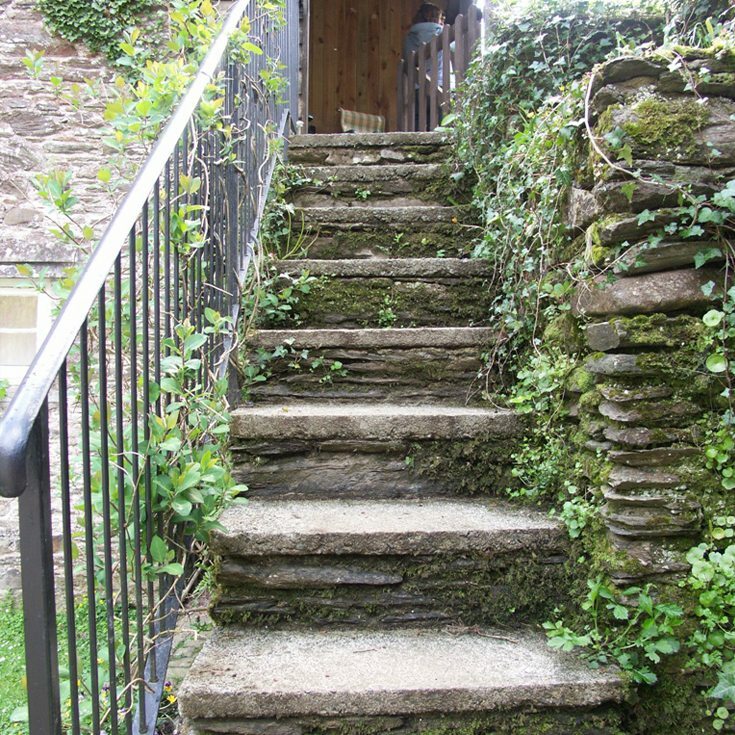 The grindstone is filled with scented marjoram. 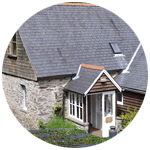 A light, airy & modern kitchen with an original grindstone in the floor and deep slate window sills. 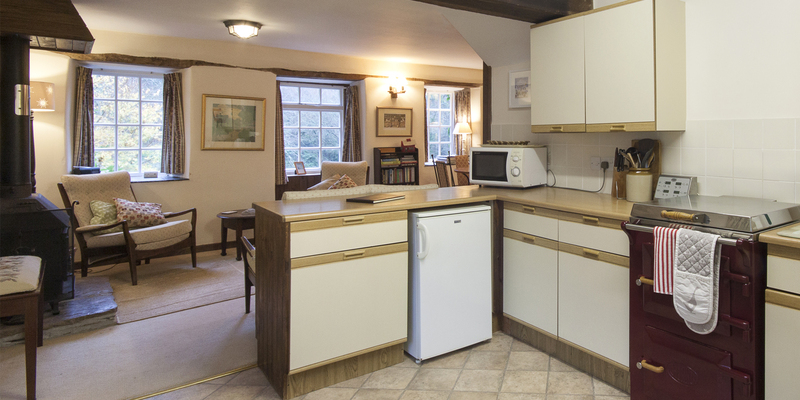 There are plenty of well-stocked cupboards and storage space. 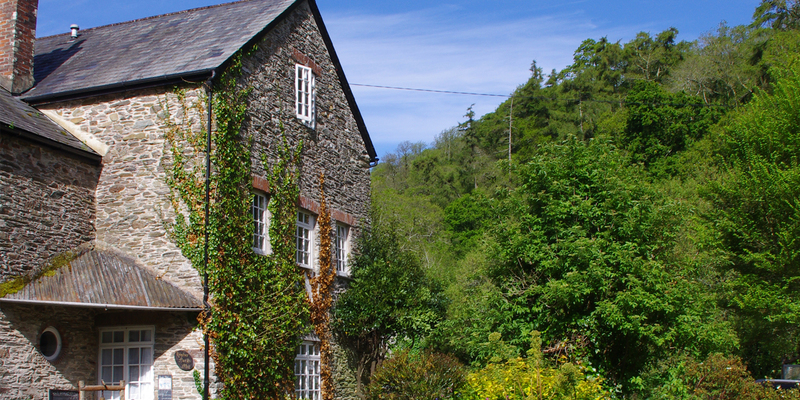 Barleycorn Cottage benefits from electricity generated by our water turbine. 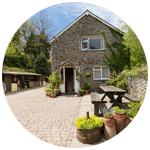 Fully-equipped with an electric ‘Aga’ style Everhot range cooker, microwave, kettle, toaster, fridge with freezer box and own washing machine. 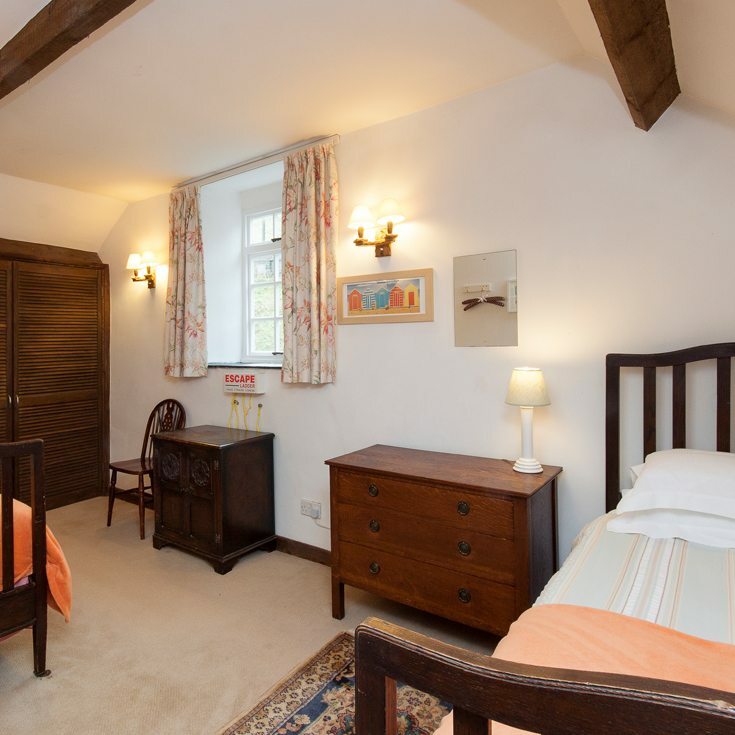 Upstairs, there’s a spacious double bedroom with a wardrobe and antique mahogany chest of drawers, and a vintage nursing chair in the corner. 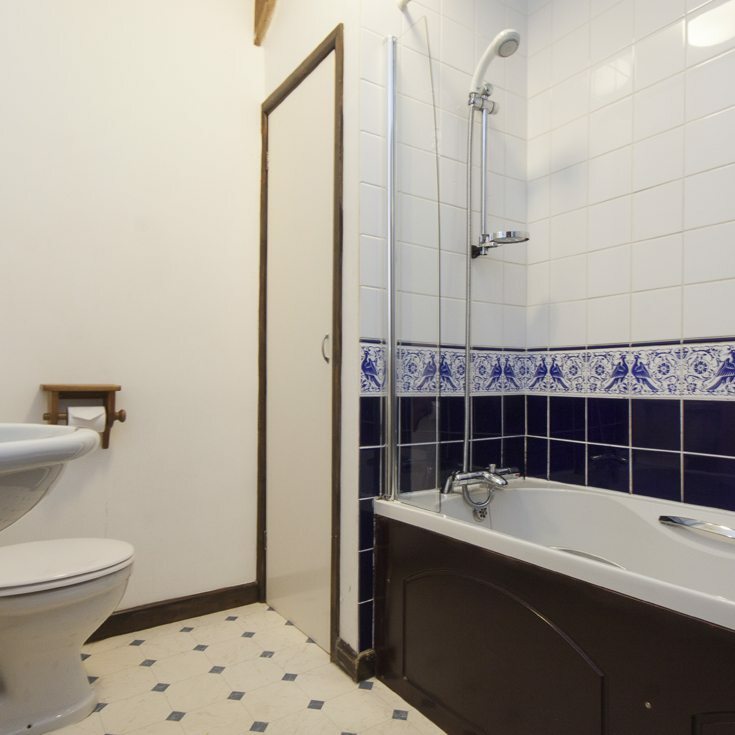 The bedrooms share a good-sized white-tiled modern bathroom, with a small seating area on the landing and a large twin bedroom, with a fitted wardrobe, oak chest of drawers and further cupboard plus sunny views up over the hill. 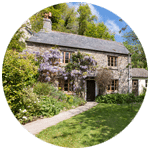 We had a wonderful stay in Barleycorn Cottage! 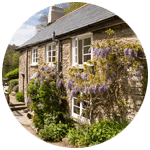 The valley is absolutely stunning and Watermill Cottages is an oasis of calm. Perfect stay for the entire family!